The Police have come under praise by a Nadi shop owner for their role in swiftly apprehending sus­pects who allegedly stole from his shop on Saturday. Umesh Kumar, 50, of Meigunyah, said: “I want to ac­knowledge the great work done by Police here in Nadi. “They were here within seven minutes from when the incident happened on Saturday. “Within the next 30 minutes they (Police) apprehended the suspects in Navo, in Nadi. 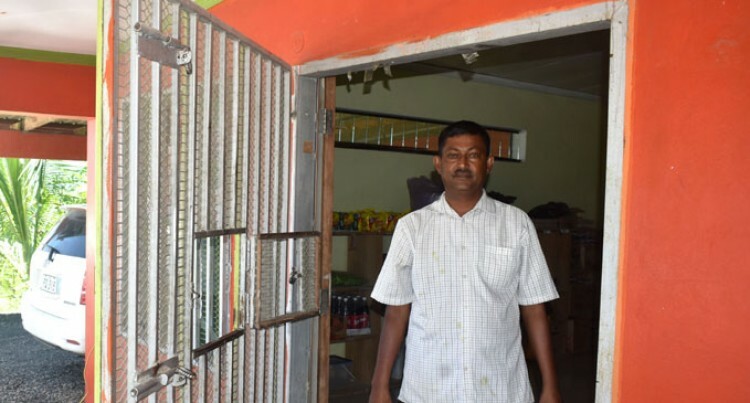 Mr Kumar owns Don’s Shopping Centre, which he has been operating for the past four years. He sells basic food items and dry groceries. He said his wife, daughter-in-law, and a one-month-old baby were at home when the incident happened. Their six-bedroom family home is attached to the shop. Mr Kumar claimed the thieves allegedly stole $1500 and women’s jewellery worth $5000. He said the incident happened at around 1pm on Satur­day. “My wife left the purse on the counter and was with my daughter-in-law and granddaughter,’’ Mr Kumar said. “The three masked men entered through the small open­ing where we serve customers. Police spokesperson Ana Naisoro has confirmed that the driver of the vehicle involved in the robbery was in Police custody as investigations continued.